» Who Will Direct the Next Spider-Man Reboot? Can We Interest You in the Dudes Who Made ‘Napoleon Dynamite’ or ‘Pitch Perfect’? Who Will Direct the Next Spider-Man Reboot? Can We Interest You in the Dudes Who Made ‘Napoleon Dynamite’ or ‘Pitch Perfect’? The next Spider-Man film is going to be terrible. Before this week, that hypothesis was supported by the franchise’s downward trend in quality over the last 13 years. Sam Raimi’s campy, convoluted, and better-than-you-remember 2007 trilogy-capper, Spider-Man 3, left a taste in moviegoers’ mouths not unlike a bad piece of pie. The web-slinger spent five years in convalescence before the franchise was rebooted and rebranded in 2012 as The Amazing Spider-Man, with music video director and (500) Days of Summer helmer Marc Webb at the controls. The first film was watchable, but just barely — and last year’s sequel fared much worse, a confounding mess that caused the Sony studio to shutter future plans for the entire franchise. Of course, Sony would be out of its mind to ignore a property that was initially responsible for convincing audiences that comic-book films had mainstream potency beyond rubber-nippled suits. So in the immediate wake of Marvel’s latest city-destroying mega-film, Avengers: Age of Ultron, Sony has moved ahead with another Spider-Man series reboot for 2017, with a leaked short list of directors making the rounds. 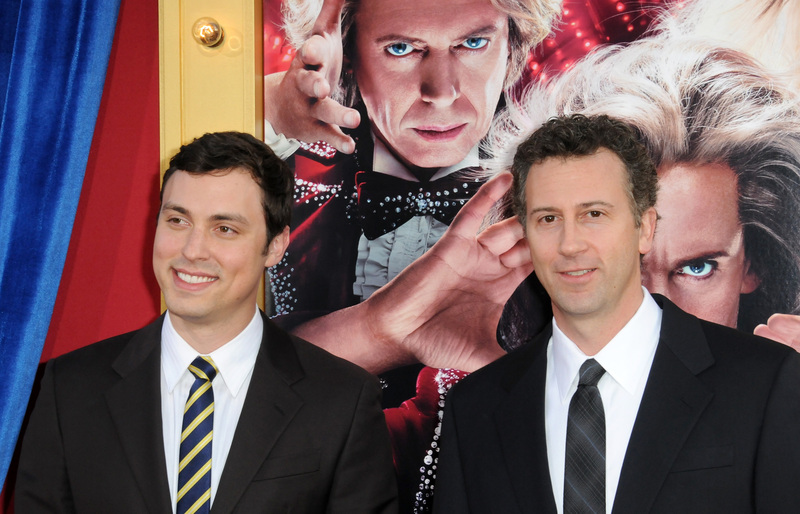 The five alleged options are as unexciting as they are unsurprisingly all-male: Napoleon Dynamite helmer Jared Hess, writing/directing team John Francis Daley and Jonathan M. Goldstein, Pitch Perfect director Jason Moore, Jonathan Levine (50/50, Warm Bodies), and Ted Melfi, who made minor waves last year with St. Vincent. Two of these directors have just one released film on their résumé; Daley and Goldstein have none. None of the directors in question has made anything explicitly resembling an action film. The Internet reaction to the list has been negative, but anyone who thinks there’s a likelihood of the studio kowtowing to web pressure should remind themselves how the Donald Glover–as–Peter Parker campaign turned out. So before we ask why, let’s take the leaked list as gospel and consider the choices at hand. Perhaps the easiest to disregard off the bat would be Hess, a director who possesses a specifically quirky style that nearly wore out its welcome on immediate arrival. Legacy-wise, Napoleon Dynamite is partially responsible for a faux-offbeat, particularly noxious strain of indie filmmaking, and the second-verse-same-as-the-first CV that Hess has cultivated since has a reputation not unlike Jon Heder’s acting career. Hess’s appearance on the short list is a black licorice jelly bean in an Easter basket — he is there to distract from the other surrounding entities, and possibly to make those other entities look more appealing by design. Melfi’s latchkey-kid dramedy St. Vincent shares a surprising thematic thread with Spider-Man’s lore — what is Peter Parker if not the ultimate latchkey kid? — but his capability in handling anything other than “really makes you think” fare is heretofore untested. Same goes for Daley and Goldstein, who have previously lent their pens to a string of studio comedies that ranged from painfully dull (The Incredible Burt Wonderstone) to painlessly forgettable (the Horrible Bosses franchise). Their Vacation is receiving a level of positive industry buzz, but Daley himself has expressed more personality in front of the camera — specifically, as beleaguered geek-hero Sam Weir in Freaks and Geeks, the kind of character who’d presumably care about the director of the next Spider-Man movie if he existed in 2015 — than he has behind the scenes. The thought of Moore taking on a comic-book franchise is, in its essence, mildly appealing. His first film, the surprise smash musical-comedy Pitch Perfect, was an intoxicating sour-sweet blend that possessed an irresistible kinetic energy with heart-tugging sincerity and stupidly clever gags. Given how well the dumb delicacies of Spider-Man 3 have aged, it’s not hard to dream of a Spider-Man movie with a level of humor beyond Peter Parker’s baddie-zinging one-liners. Which leaves us with Levine, arguably the best choice in this nondescript bunch. I haven’t personally cared much for Levine’s films. 2006’s All the Boys Love Mandy Lane was a tired genre flip of grindhouse horror tropes; there was also the coming-of-age nostalgia trip The Wackness in 2008, the Joseph Gordon-Levitt cancer dramedy 50/50, and 2013’s unrequited-zombie-love flick Warm Bodies. A distinct theme in his work is young men falling in and out of love as the world changes and perpetually crumbles around them. Both Raimi and Webb’s Spider-Man films paid as much attention to the journey Peter Parker took — from an emotionally reserved, unfailingly polite boy to a swaggering, alpha-male-aspirant young man — as they did to Spider-Man’s own crime-fighting exploits. For better or worse, Levine’s filmography shares this common interest, and combined with the flashes of action embedded in Warm Bodies, it’s not unimaginable that he could make a reasonably watchable Spider-Man film. In fact, any of the directors in question could make a film as uninspiring and competent as the first Amazing Spider-Man — and that’s exactly why Sony’s considering them in the first place. The recent public flameout (no pun intended) of hotshot auteur Josh Trank, following reports of behind-the-scenes trouble during his forthcoming Fantastic Four reboot, may serve as a cautionary tale for studios. Putting costly, respected properties in the hands of well-reputed and left-field creative types doesn’t always yield Raimi-level results. Even the critically maligned The Amazing Spider-Man 2 — a film made by a guy who cut his teeth on a Green Day music video and one of the most resolutely emo films of the last 10 years — was a modest financial success, a fact that underlines an important lesson for movie studios and spells bad news for fans of the franchise. These movies don’t need to be good to be successful — they just need to be made. Thought Experiment: Who Would Be Stupid Enough to Try to Kill John Wick in ‘John Wick 2’?